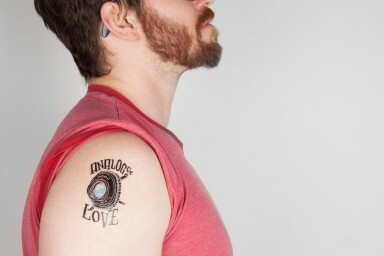 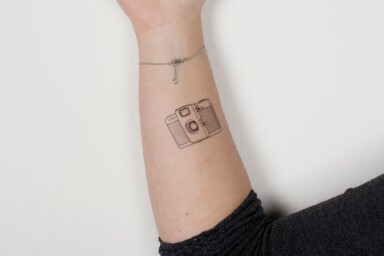 Wear lomo-love on your skin with these temporary tattoos inspired by lomo lifestyle. 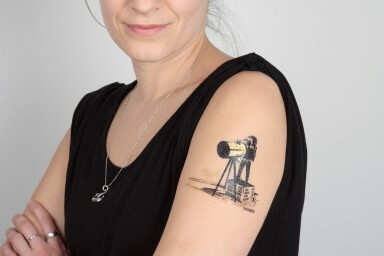 You’ve shouted your analogue love from the rooftops and worn your heart on your sleeve – Now it’s time to take it to the next level and wear it on your skin! 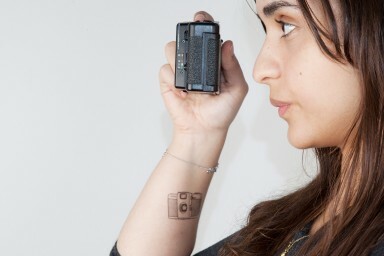 Our new Lomography Tattoos are fun, easy to apply and come in five designs: Analogue Love, Petzval, Lomo LC-A+, Lubitel and the Diana F+. 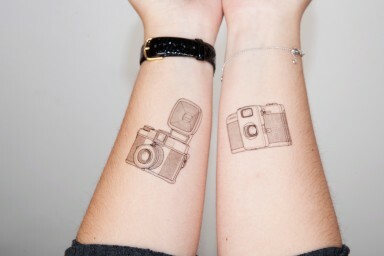 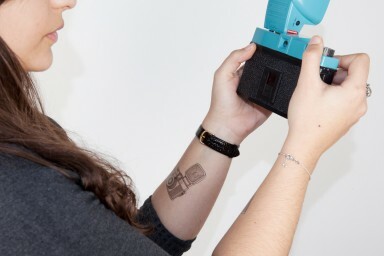 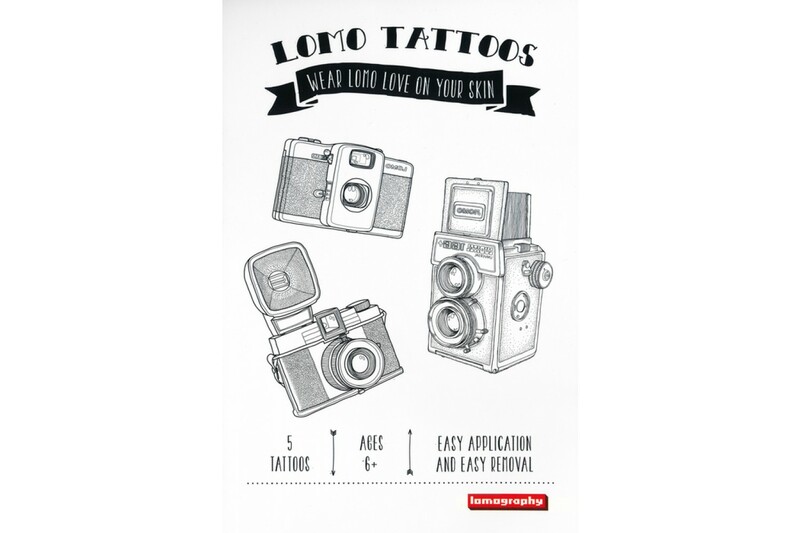 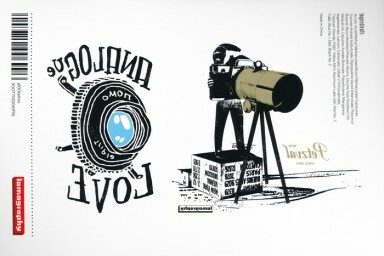 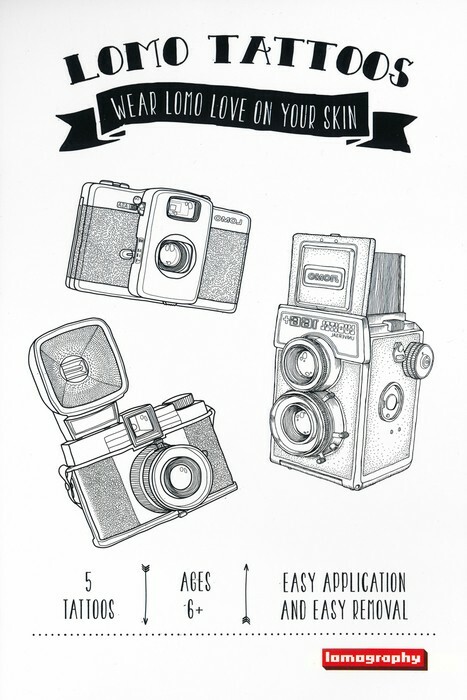 Lomo Temporary Tattoos contains 5 tattoos you can treasure 3 designs of black and white cameras and 2 colored designs. 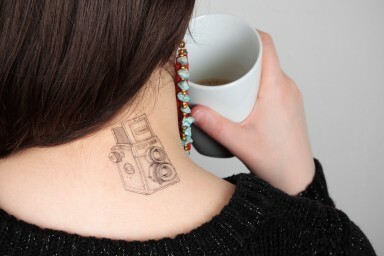 Go ahead, stick it on and show it off!